Today is m y weekly day out with my mom, and that is more important to me than any wordcount. I’ll catch up in the next few days, but today belongs to us. Macy’s came to pick up the chair and ottoman she bought barely a week ago. They don’t make things like they used to. Macy’s, to their credit, didn’t argue. They picked up the defective furniture and credited her account. From there we headed out to the Salvation Army Store on Green Springs. Wednesday everything in the store is 25% off and all clothes with a white tag is a further 50% off. From there we headed to Acapulco Mexican restaurant, that that not only has good food, but on Wednesday has two for one on menu items A thru L all day long. 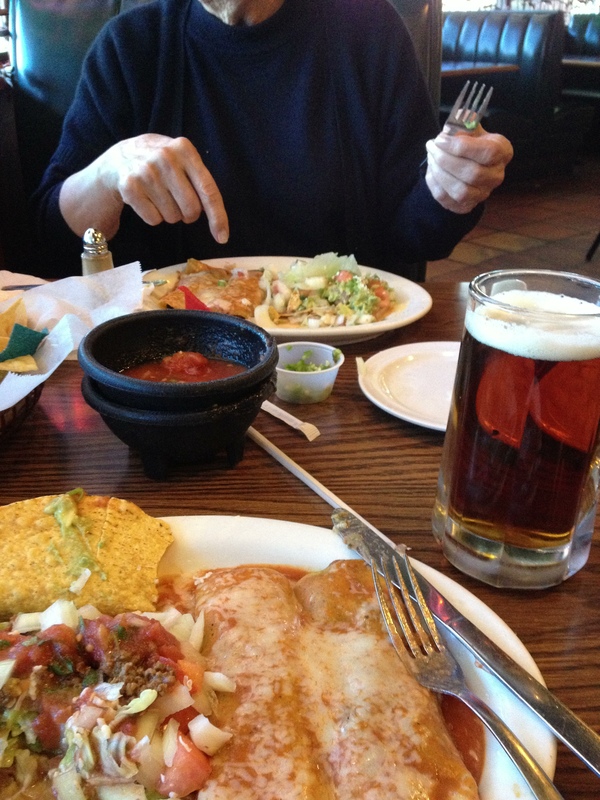 We both enjoyed ice cold dos Equis and such ample portions of food that we both took home enough food for lunch tomorrow. From there we hit Aldi’s, Academy Sports, Walmart, Hobby Lobby, Big Lots, happy hour at Bone Fish Grill for margaritas and Bang Bang Shrimp, etc., etc., and finally stopped off at Publix on the way home to pick up a few essentials including beer an wine and got back to mom’s around 7. 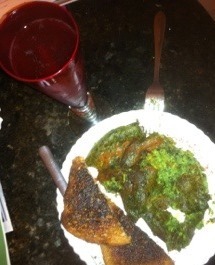 I got to my abode a bit ago with a leftover shrimp for Jazmine – her due for my being out all day. Now I’ve put the new heated throw I got at Walmart on the couch and Jazmine and I are going to enjoy the warmth while she does her ablutions followed by belly up snores and I read a few more chapters of Hild. I’ll resume my writing on my NaNo novel tomorrow after a long chilly walk in the park. Day 10 of NaNoWriMo – New project started late last night – 10,050 / NaBloPoMo (10 for 10). 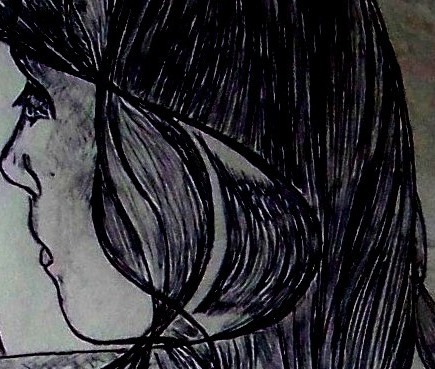 characters still live in a far corner of my mind. 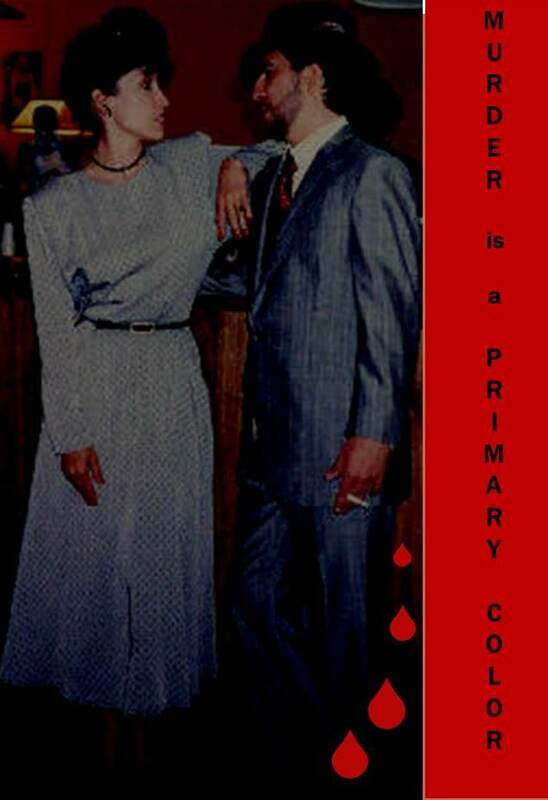 Tentative Title: Murder is a Primary Color. I’ve been writing on it most of last night and then again today to get back to the 10,050 words I had already written on Wadenhoe. I’ll have to do 3500 words a day to get back on schedule by this coming Friday. I’m beat. I’m looking forward to pouring a glass of cabernet and tuning in PBS Masterpiece @ 8 to watch Paradise followed by a rerun of season 2 episode of Downton Abbey. 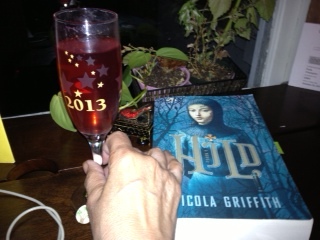 Dessert will be a second glass of wine and as many chapters of current new book, an ARC of ‘Hild’ by Nicola Griffith which is due out Tuesday. Set in 7th century Britain, the style is much like that of Mists of Avalon and I am so loving it. Mira watched in awe from the stove as she poured the steaming chocolate almond milk into a large blue mug of equally steaming black cayenne laced coffee. She knew her mistress talked to this feline, and she was sure the feline understood and talked back. Mira’s grandmother had explained to her about curanderas and their familiars and told her to treat the cat as well as her mistress and speak to her as to a human and with respect. This cat was not like her little Sabato at home, not at all. This one looked at you when you talked. Mira only hoped it could not read minds, too. 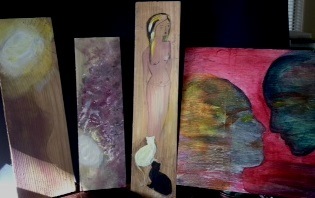 James strode down the hall and Mira did not catch up with him until he was seated at the kitchen bar on the other side of Brie – and now there were three. 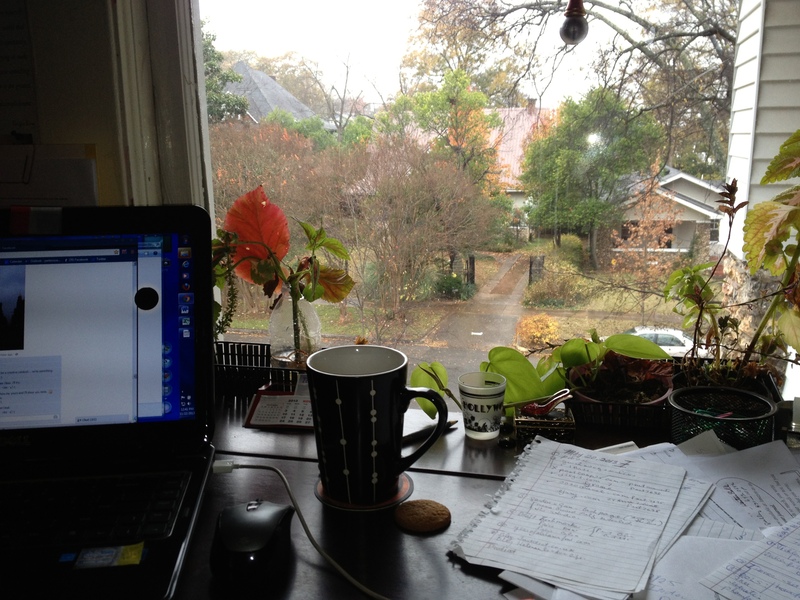 Day 9 of NaNoWriMo – Dumping current project and starting a new one (sigh)/ NaBloPoMo (9 for 9). Met with Alabama Writers group for NaNo write-in at Panera’s Main Street @ 10 this morning for a write in and we got no writing in. It turned into a kibitzing session. That was fine. I’ve pretty much lost steam on this project and seriously considering a sequel/spinoff of a previous NaNo Novel. I’ll have to double up to catch up, but those characters live for me and I can rethink the Wadenhoe project for later in 2014. I’ll be updating title, etc., on Nanowrimo tomorrow, and start doing some furiouss writing most of tomorrow on new project to make up for lost time. Tentative Title ‘Murder is a Primary Color’. Met two interesting young women this morning whose Indie Publishing Company is worth a look. Check them out at Matter Deep Publishing. p.s. 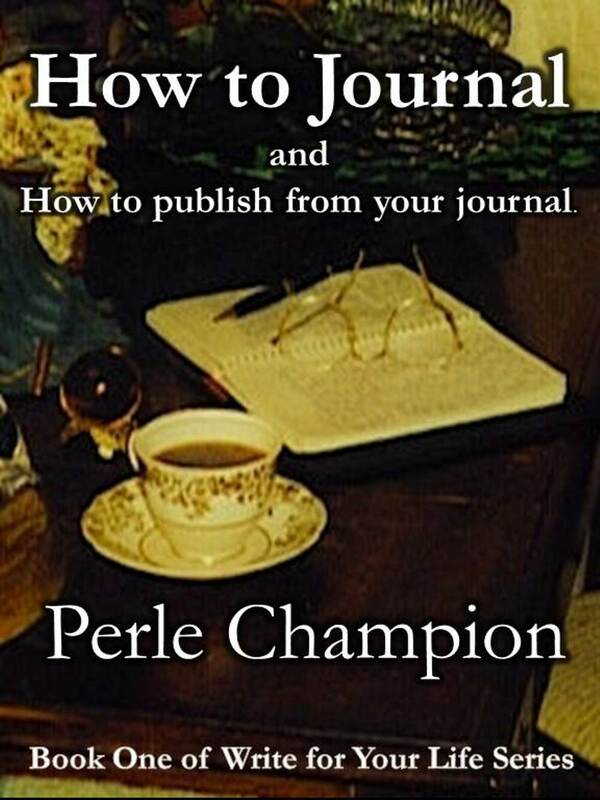 My own indiepub e-book (How to Journal and How to Publish from your Journal) will be going on sale as an Amazon selection on December 2 @ $2.99. I’m hoping it will kick up sales.